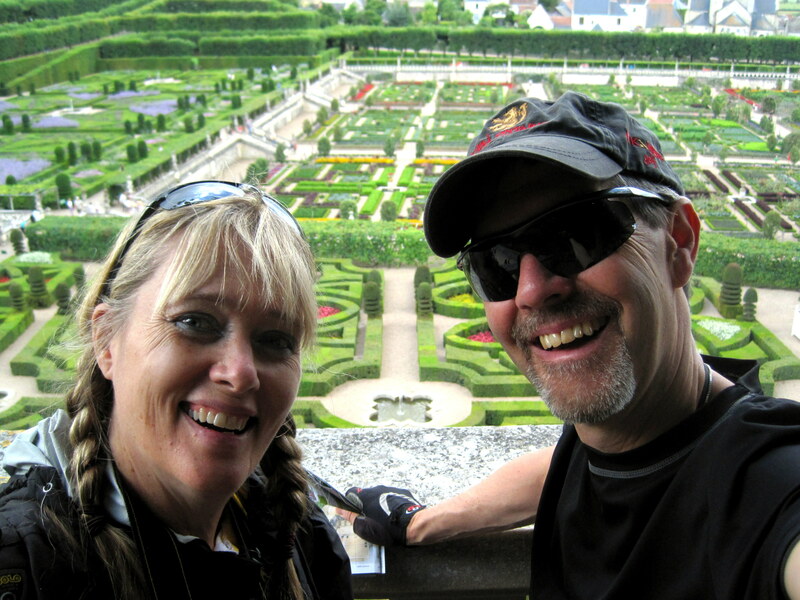 Without question, a highlight of our trip was on the first day of cycling when we saw the gardens of the Chateau de Villandry. For the next few posts, I will show some views, but it is, without question, something you have to see to believe and fully appreciate. The Chateau dates back to 1532, although portions are from as early as 1189. 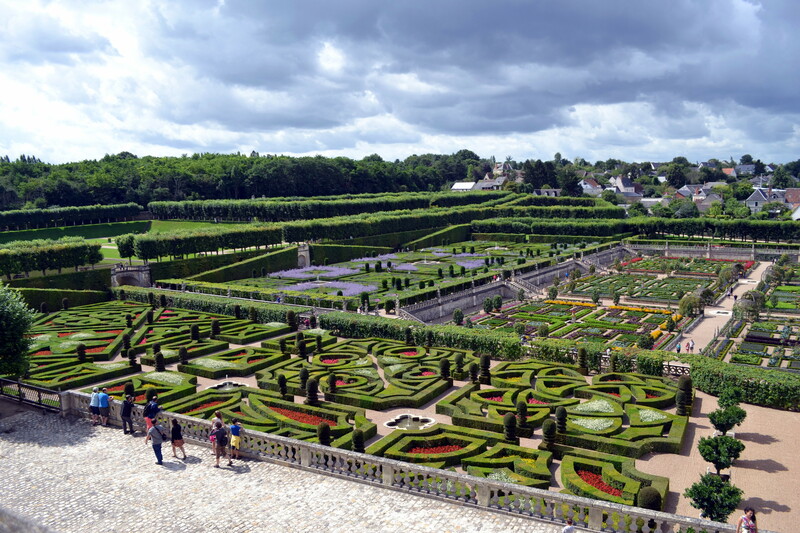 Joachim Carvallo, a Spanish-born doctor, bought the estate in 1906, began the return of the gardens of Villandry to the style of the Renaissance and his descendants have continued that process. This first shot is of the main garden areas. There are gardens beyond all of the outlying stands of trees and shrubs as well. This is an actual selfie, we are not standing in front of a display. The gardens are “live” behind us! 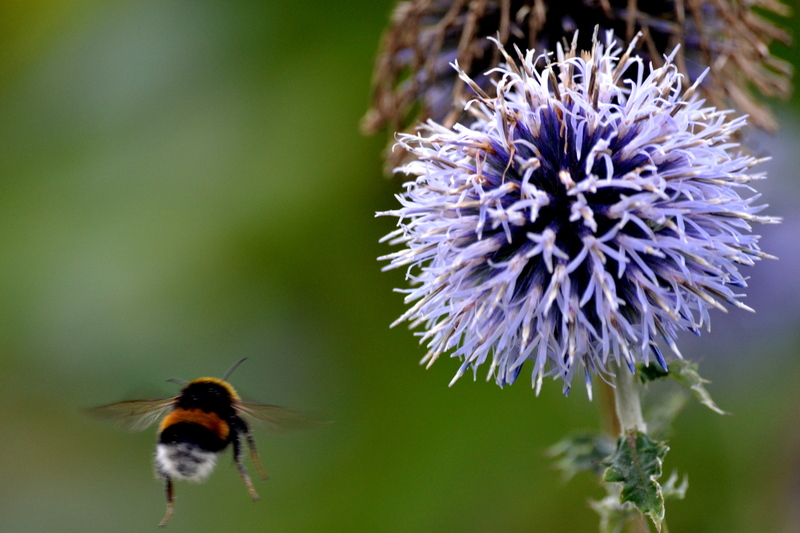 This shot was another fluke – as all shots of flying bees or birds tend to be for me. I’m feeling ENVY! Gorgeous place! Fabulous! Thank you for sharing your trip, loving it.